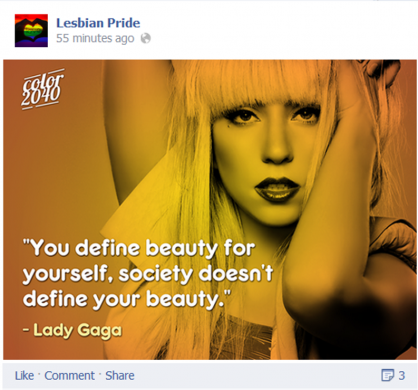 Each week we celebrate the best in lesbian social media. Here’s our social media round up for April 13-20, 2014. 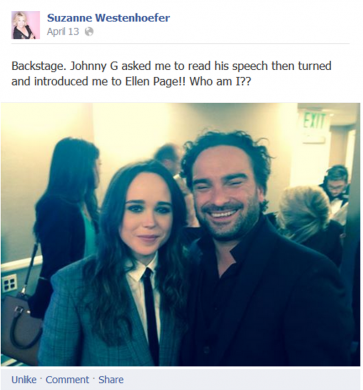 Suzanne Westenhoefer was living the dream at the GLAAD Media Awards. 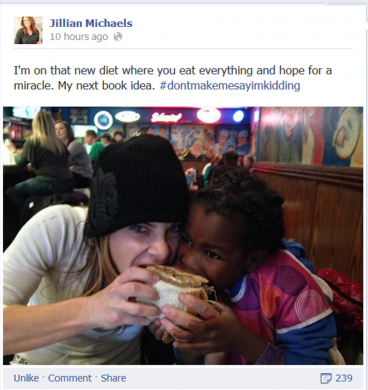 Jillian Michaels contemplates a new approach to dieting. One of our Facebook fans had us chuckling at this timely reference. 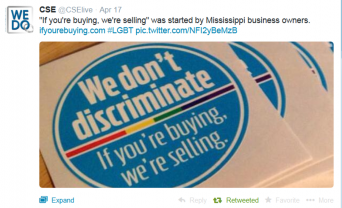 Hooray for business owners in Mississippi! A gentle reminder from Lady Gaga. 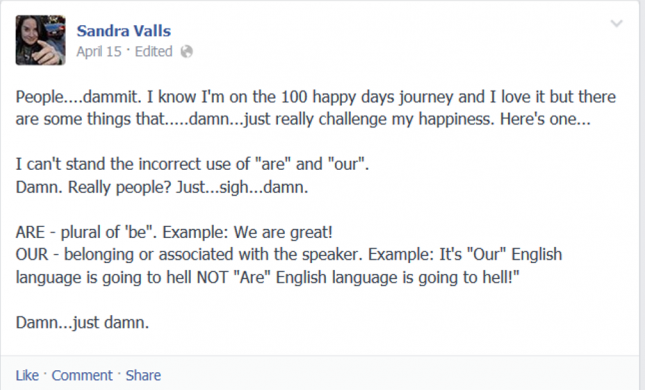 Comedian Sandra Valls weighs in with a grammar lesson for us all. Happy Easter. 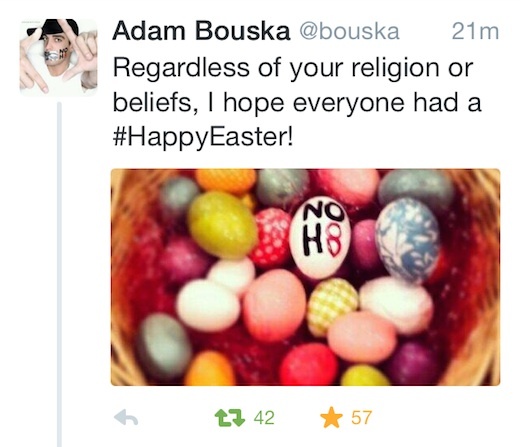 No H8, yo. 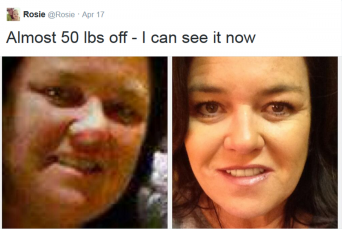 Posted April 21st, 2014 & filed under Entertainment.